Catalanesca and Casavecchia are defined as “rigid” because they can reach their full expression only within a limited area. 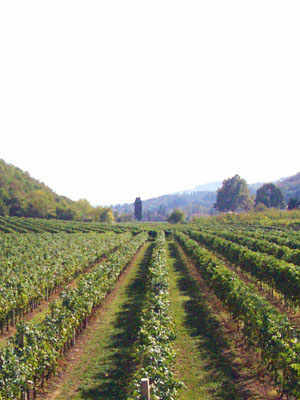 Rediscovered by farmers and promoted by the Campania Region, the wines deriving from these grapes are contributing to the economic development of the provinces of Napoli and Caserta. 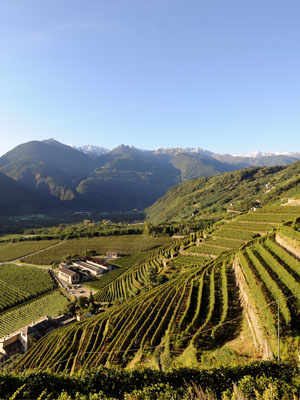 The recognition of over 100 autochthonous wine varietals represents a new frontier for viticulture in Campania, which extends over a surface of 30,000 hectares, with a production of 1.7 million hectolitres of wine every year, making Campania the eighth Italian wine producing region. New jewels were added to the renowned varietals of Fiano, Greco di Tufo, Taurasi, Falanghina and Aglianico, adding to the so-called «Vigneto Campania». Diﬀused in limited areas, they are defined as «rigid» because they can reach their full expression only in their own production area. This is the case of the varieties called Catalanesca and Casavecchia, which are respectively white and red. 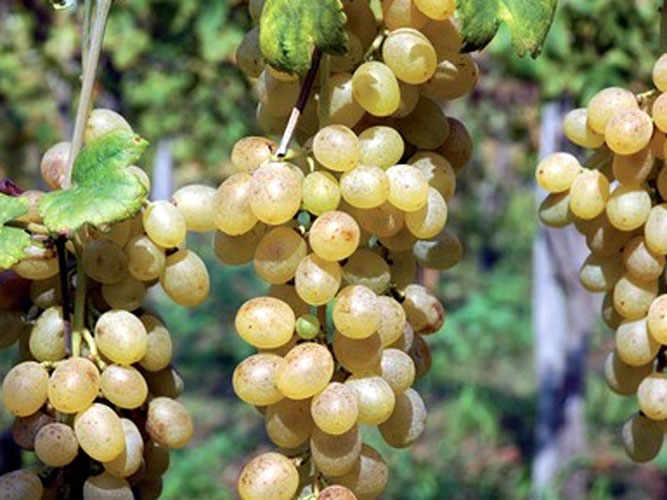 Catalanesca is a white grape from the Vesuvius: its cultivation spans from 150 to 500 metres above sea level. The exposure on the northern side favours late ripening and maintains the grapes healthy, thanks to the dry North winds which prevent the stagnation of humidity and parasite attacks. 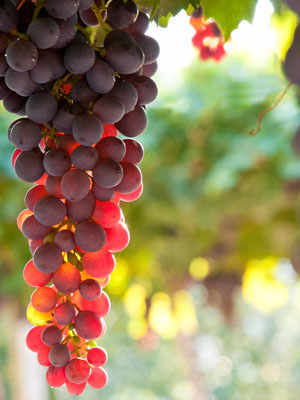 The grapes, with a strong stalk and a thick outer skin, are resistant to transportation. The late harvest, following the juice concentration, allow for high sugar content in the must, as well as an improved phenolic composition and more aromatic peculiarities. Catalanesca has obtained the typical geographic indication (called IGP) as «Catalanesca del Monte Somma», obtained by white Catalanesca grapes (minimum 85%) and suitable varietals from the production area (up to 15%) in both versions of White and Passito wines. 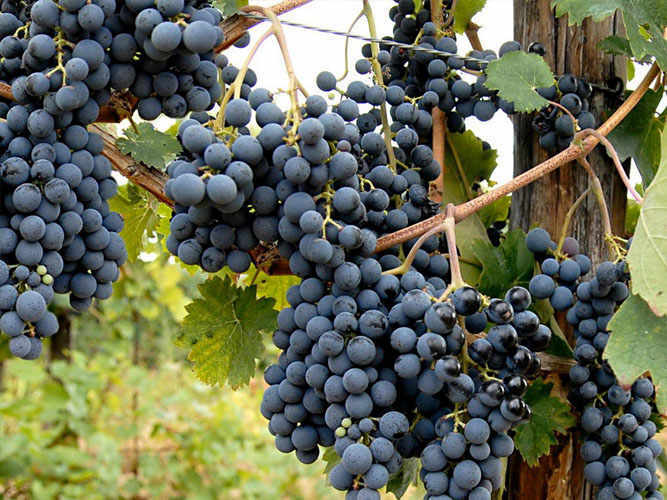 In the northern part of the province of Caserta, where the weather is mild and the river Volturno flows, the Casavecchia grape is grown: it is a red grape and it is exclusively used for winemaking. This varietal is vigorous, but its production is not high – its yield is about 6,000 kilos per hectare – and the grapes reach full ripeness at the end of September. The winemaking requires fermentation at controlled temperature in steel tanks. The wine ages for twelve months in new oak barrels, and then the ageing process continues inside the bottle. The wine, with an alcohol percentage of 13.5, has an intense ruby red hue with a hint of purple and is ideal for ageing. In 2002, it was added to the geographical indication «Terre del Volturno» and in 2012 it obtained the denomination of controlled origin «Casavecchia di Pontelatone DOC». 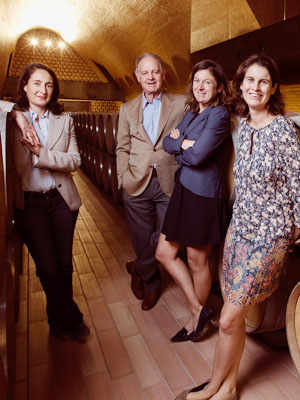 Not far from Firenze, in the Chianti Classico area, is headquartered an old-established family-owned winery.